In India’s internet space, everyone wants to do everything. Amazon India could soon start selling airline tickets and take food orders on its platform, ET reports. The company is beta testing flight bookings in collaboration with ClearTrip, and over time, also plans to let users order food, book cabs and hotel stays on its platform. 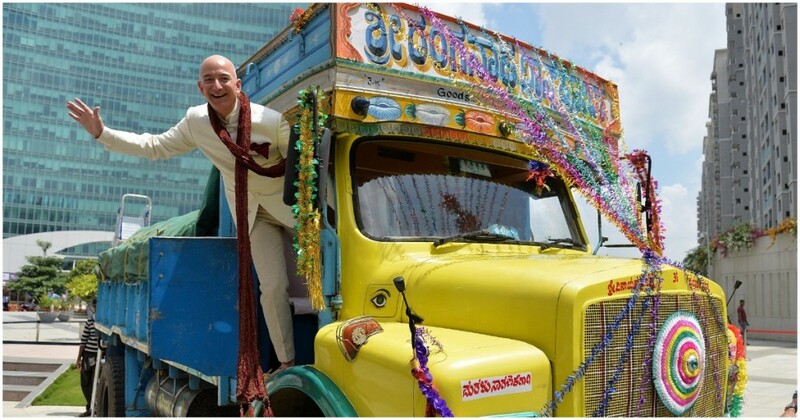 Amazon won’t be the first e-commerce company in India to branch out into other sectors. Paytm already is actively into flight bookings, hotel stays, and even has a tie up with with Zomato to deliver food. Flipkart, too, has a tie-up with MakeMyTrip for flight bookings. Last year, Amazon had acquired super-app Tapzo, which provided a host of services including cab booking and recharges, which could possibly help it with its expansion into other areas of e-commerce. Indian e-commerce companies all seem to simultaneously be trying to use their core user-bases and poach them for transactions that they were making on specialized sites. Millions of people use these e-commerce platforms every day to buy goods, and these companies clearly believe that they can be made to perform other transactions on their sites as well. The approach has merit — in China, WeChat is a single platform that lets users make payments, chat, buy things, and even book massages and doctors. It has become enormously popular, and the app has nearly as many users as the entire online population of China. It’s still unclear if such an approach could work in India — there are already several players that now provide a suite of services, and are looking to woo customers into their own ecosystems. There’s no real first-mover advantage any more — Paytm had the lead in providing a slew of services under one umbrella, but has discovered that not all of them are performing as intended. Paytm Mall is floundering, as is Paytm Payments Bank. That has left the space open for other competitors to jump in, and provide a more comprehensive platform. Interestingly, all large e-commerce players seem to agree on one thing — that real value can be created only if they all branch into several other areas of commerce. Paytm started off with payments, then branched out into e-commerce with Paytm Mall. Amazon started off with e-commerce, but then added payments with Amazon Pay. Similarly, Flipkart was an e-commerce company for nearly a decade before it started its payments arm in PhonePe. What this has meant is that the three big players in India now look fairly similar from a product portfolio standpoint — they’ve just taken vastly different routes to get there.